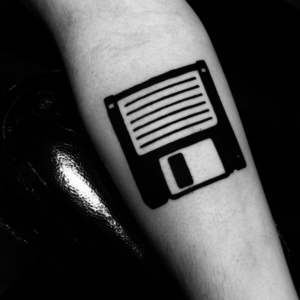 For many, this is where we find ourselves in organizations just starting to work on digital preservation. 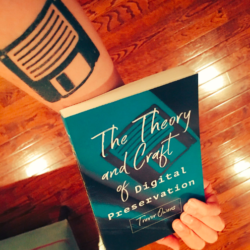 I’m working on drafting up the syllabus for my digital preservation graduate seminar for the University of Maryland’s iSchool for this coming fall. I am a firm believer in learning-by-doing. I also think talking about digital preservation in the abstract, outside the very real resource and time constraints of organizations largely misses the point. As a result, I am planning to have each student work through a series of assignments where they serve as digital preservation consultants to small cultural heritage organizations. My hope is that this will be a meaningful learning opportunity for the students, as well as a way for them to start building out a portfolio of work that will be relevant to potential future employers. I am also optimistic that this can be a way to provide some help to small cultural heritage organizations that could benefit from having the additional manpower think through and develop plans for helping to make the best use of resources to make their digital content more long-lived. First, to get feedback and input on how to improve the assignment. I’ve posted it as a Google Doc too, so if you have suggestions for it please feel free to write comments or suggestions directly into the doc. Second, pairing students with individuals who are interested in participating in this work is going to be key. I wanted to circulate this document as a means to identify people and organizations interested in working with a student as a digital preservation consultant for their organization. If you (and your organization) would be interested in having a University of Maryland graduate student in my digital preservation seminar focus their digital preservation consultant project on your organization please take a two minutes to fill in this 5 question form. I think this is a great opportunity for organizations for a few different reasons. Solicit assistance thinking through digital preservation issues and planning for your organization. On the first day of class (September 1st), I will present the organizations that have filled out the survey my students. In the first few weeks of class I will help to pair each student with an organization for the semester. If you are matched up with a student, the idea would be that you would commit to doing an interview or two with them about your organization’s collection and current practices for digital material and that you would review and provide input on several of their assignments (listed below). I should underscore that it is completely fine for organizations to be literally at square one in terms of digital preservation practices and planning. So many cultural heritage organizations are just getting started with their digital preservation planning, and while it can be a bit intimidating to take some first steps in this space. There are many simple and inexpensive things organizations can be doing to mitigate risks of loss . The assignment will be most valuable for both students and organizations in cases where there is little current work being done in digital preservation. As part of this project, students will be blogging about their work, so you and your organization will need to be OK with them sharing information about the project. This can be a bit intimidating, but by having students work on their public writing skills and inviting a broader audience into discussion about how to do this work in organizations it will help to ensure that the quality of that work is stronger and more useful. Through this public writing process, the results of the work will be more useful to both the student and to your organization. What follows are details about the design of this assignment. This is also available in the google doc if you would like to suggest edits or make comments. Here you can see a student, working synthesizing what they have found and drafting a plan. An academic understanding of the issues in digital preservation is necessary but not sufficient for professional digital preservation work. 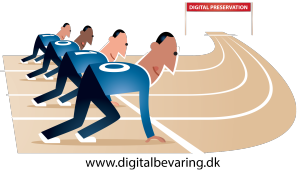 Digital preservation is fundamentally about making the best use of what are always limited resources to best support the mission of an organization. 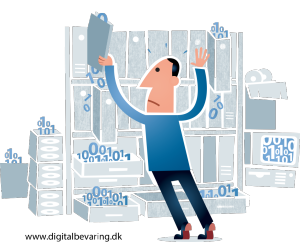 As such, to really learn how to do digital preservation you need to apply these concepts in the practical realities of an organizational context. Aside from participating in discussion of the course readings through the course blog, the other course assignments will require you to act as a digital preservation consultant for a cultural heritage organization. For a variety of reasons I suggest this be a small institution. Below are the five assignments you must complete over the course of the semester as part of this project. Identify Small Cultural Heritage Organization and Establish Partnership (by week 3): For most of the course assignments, you will need to find a small cultural heritage organization that you can work with as a digital preservation consultant. I have identified a list of organizations that are up for participating, but you are free to find other organizations as well. The key requirements here are that 1) they have consented to working with you 2) they have some set of digital content but 3) their collections are not so complex that you couldn’t possibly do the project. Example institutions include an independent organization (like a house museum, a community archive or library), a small department or subset of an institution (say the archives of a student newspaper or radio station, the special collections department at a public library, or the archives in a museum). Deliverable: The output of this phase is to identify this organization and confirm that you have a commitment from them to participate. We will check in on this in class as we go, but by the date of this assignment you need to have confirmed participation of an organization that meets these requirements and have posted what organization you are working on in a list on the course website. On the site, post the name of the organization, your name (or handle) and two or three sentences about the organization and its digital content. Institutional Digital Preservation Survey (Draft by week 6 and send to your org, publish with their comments incorporated by week 8): For your organization, interview one or two staff members to get a handle on their digital collections and practices. Draw from the NSDA levels of preservation as an overall framework for conducting your survey. You will want to focus on gathering information about their practices in five key areas. First, what is the scope of their digital holdings? Second, how is that digital content currently being managed? Third, what are the staff at the organization’s perceptions of the state of their digital content (are they concerned about it, do they see it as mission critical or a nice to have, what do they see as their own self efficacy and their organization’s capacity for sustaining their content)? Forth, what kinds of digital content would the organization like to be collecting but currently isn’t? Fifth, what, if any resources, do they have that they could bring to bear on this problem (if they have some significant potential resources that’s great, but realize that there may well be very meaningful smaller resources that could be brought to bear. For example, could one staff member spend 2-4 hrs a week on digital preservation, could they bring in community volunteers, how much could they spend on things like extra hard drives etc.) Throughout all of this, it will be important to understand what the organization’s collecting mission is. You want to begin to probe all the questions above, but you need to be able to map their answers to the NDSA levels. Deliverable: You will write and publish a post to the course blog (1200-3000 words) in which you present the findings of your survey. The post should first provide context, what is this organization what are its digital holdings what does it want to be collecting them. From there, work through presenting an accurate and coherent report of the themes and issues that came through in your interviews. At this point you are primarily interested in accurately representing the state of their work. Do not get into making recommendations. Simply do your best to succinctly and coherently explain what you found about the five areas of questioning discussed above. Before publishing this, you must present it to your org for their feedback to make sure you have their input on how you are describing the state of their work. Institutional Digital Preservation Next Steps Preservation Plan (Week 10): Now that you have the results of your survey, it is time to take out the NDSA levels of digital preservation and the rest of our course readings and figure out what a practical set of next steps would be for your organization. 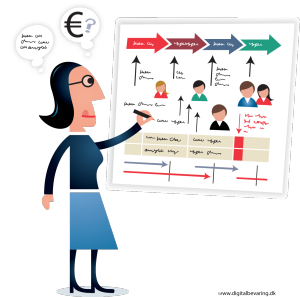 Deliverable: Post your next steps plan to the course blog (1200-3000 words). After a brief introduction providing context about the organization and its collections, you should work through reviewing the organization’s current work on digital content using each of the areas of the NDSA levels of digital preservation. Complete by identifying three different levels (low, medium and high resource requirement) of next steps they could take to improve their rating on the NDSA levels of digital preservation. Be creative here, for example could they upload collection items to the Internet Archive or Wikimedia Commons? Or could they buy an extra hard drive and make copies and swap it with a backup buddy at another organization in a different region of the country, etc. The point here is to think about how to get them the furthest up some of the levels with the resources at hand. Before publishing this, you should present it to your organization for them to review and provide input. 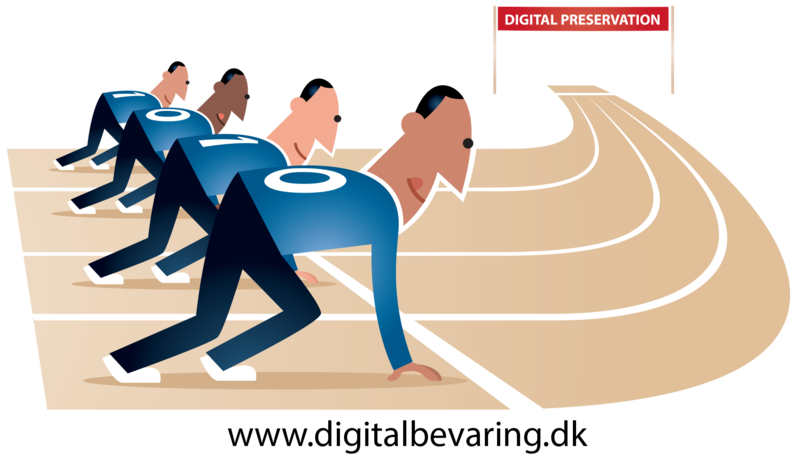 Draft a Digital Preservation Policy for Your Org (Week 12): Now that you have put in place a set of recommendations, it is important to also draft up a set of digital preservation policies and practices for the organization. If this is to have any impact you are going to need to be able to articulate what the organization’s policies could be going forward. Deliverable: Drawing on the example digital preservation policies we read in class, draft up a short policy document for your institution tuned to what you have learned from working with them. 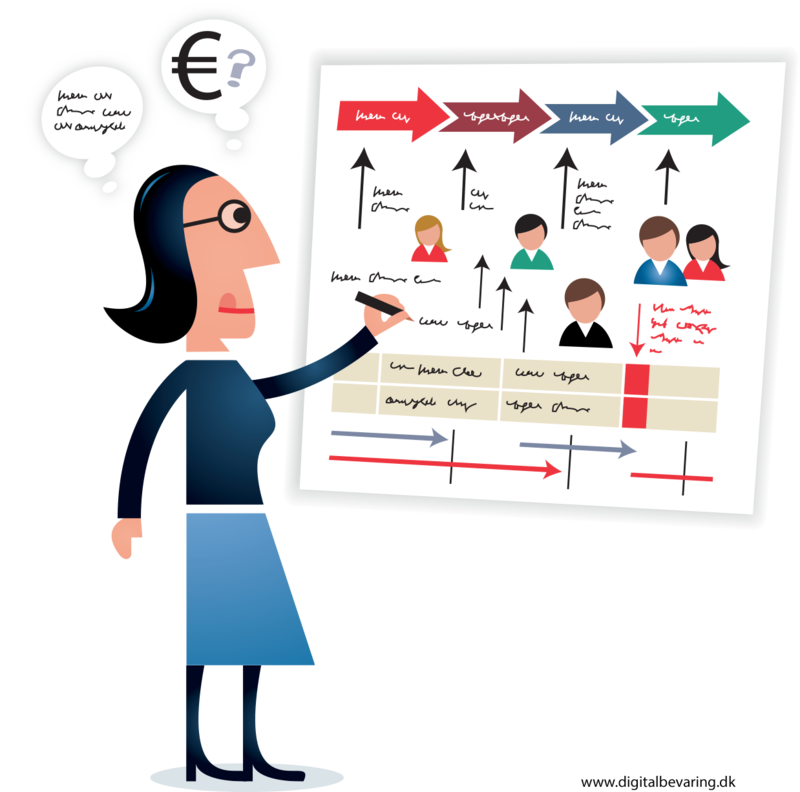 Draw from the examples for models for aspects of this document. Share it with them for some input and feedback. Then Post it to the blog (800-1500 words). Reflecting on Lessons Learned (Week 13): After doing this work,presenting it, and getting feedback from your organization, you need think through what worked and didn’t work for the project. Taking time for reflection and teasing out the lessons you’ve learned about both digital preservation and working with a cultural heritage organization. Deliverable: Return to each of the documents you created thus far and synthesize 3-5 points about what did or didn’t work or what your take away lessons are from this process. 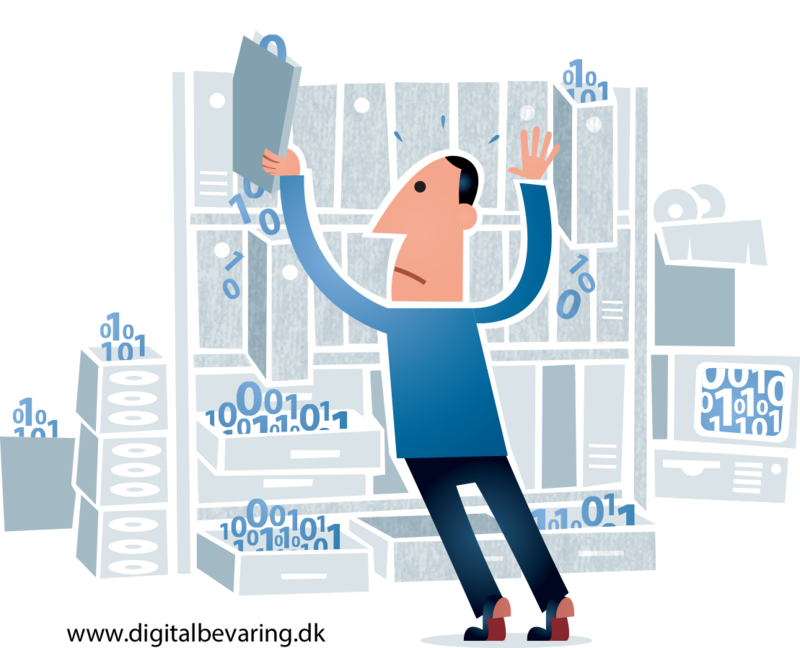 Think through what you will do differently the next time you help an organization improve its digital preservation practices. Bring in references to what you’ve learned from readings in the course and from what you have learned from your classmates work on their projects (800-1400 words). All images from Digitalbevaring.dk, published under a Creative Commons Attribution 2.5 Denmark license and created by Jørgen Stamp. I am Historian for the Prince George’s County Historical Society, and run the Society’s library, located in Greenbelt. (I have tried several times to fill out the 5-question form regarding the Student Digital Preservation Project, but it fails before I can complete it). I would like to understand the project better, to determine whether the PGCHS could benefit from your project, and/or be helpful to one of your students. I’m not sure what you mean by our “digital content.” We have photos, DVDs (converted from other previous media), nearly 50 years of our newsletters in digital form, spread sheets of obituaries, some digitized historical newspapers and maps, and a great deal of research data, etc., but have not had the opportunity to think about long-term preservation. Most of our collection (ca 6000 books, a room full of vertical files, an extensive collection of historical maps, photo archives, biographical files, etc.) 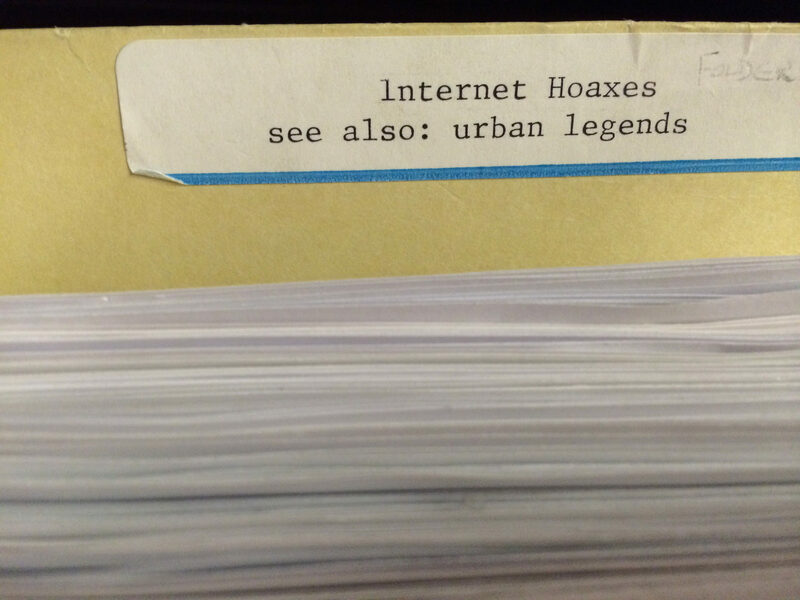 has not been digitized. I hesitate to sign up, partly because it is not really clear what this project would mean to the PGCHS, and our all-volunteer staff has no extra time for a time-consuming project. So I would like to understand more about this. Perhaps you could contact me at susan.pearl@verizon.net or at 301-262-3367. Thank you so much, and good luck with the project!